First off, thank you for stopping by and reading my blog! Shop, Eat, Live Well is getting a new name and moving to a new address, danaartinyan.com, so please check out both my new website as well as the many nutrition services I offer. The other day, I got a present from my coworker: a whole bag full of colorful baby carrots just picked from her garden. Clearly, she knows the way to my heart! 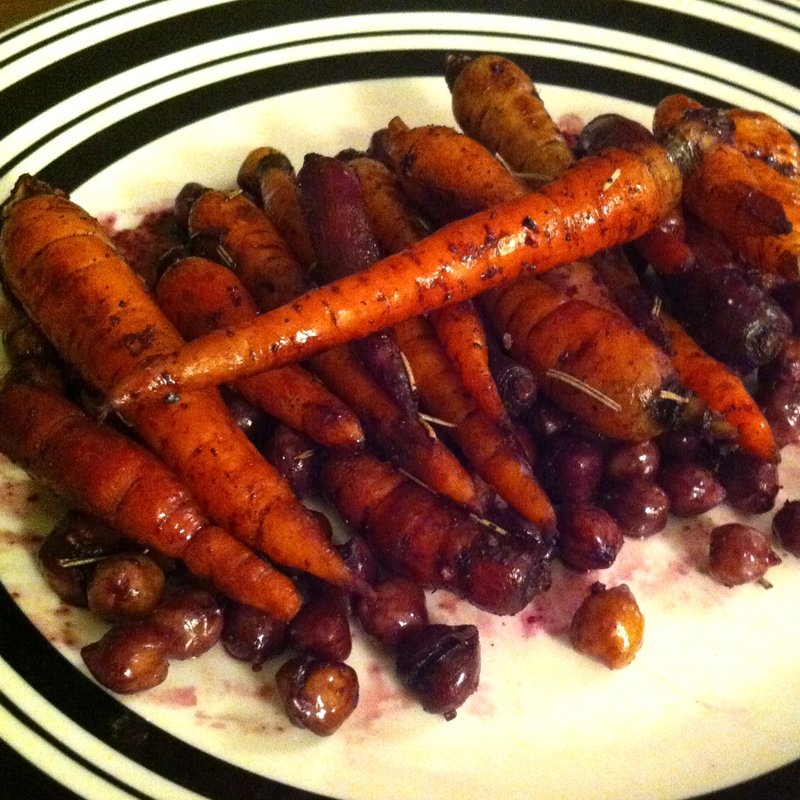 I absolutely love the look of a baby carrot and wanted to keep them whole and intact to highlight their beauty. Besides being pretty, carrots are an excellent source – 110% of your daily needs in just one carrot – of vitamin A (immune functioning, eye health, anti-oxidant properties) and a good source – 10% of your daily needs – of vitamin C (another powerful anti-oxidant, plus it promotes better skin and improved cardiovascular functioning). Carrots are also low in calories (only 30 calories for a large carrot) and surprisingly low in sugar, despite their natural sweetness. 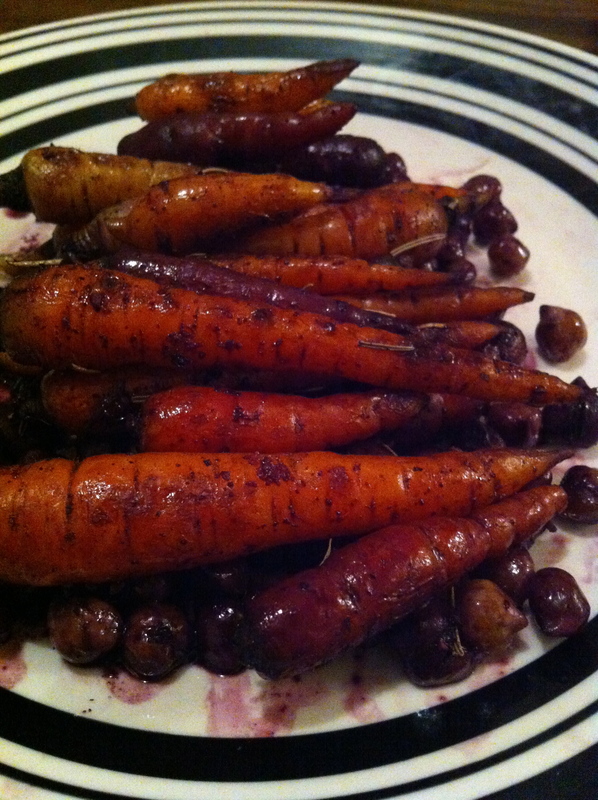 I wanted to bring this sweetness and also lend a bit of earthiness to the carrots with a red wine reduction sauce over the carrots. I paired with some garbanzo beans to give some protein and fiber, and had quite a delicious and filling (thanks to all that fiber!) meal. Heat olive oil and minced garlic for about 1 minute. Add carrots and saute for 10 minutes (on medium-high heat). Add wine and remaining ingredients and cook until the red wine has reduced to about 2 Tbsp (will also be thicker). Serve over grains such as quinoa, brown rice, or buckwheat or along with beans (garbanzo, pinto, kidney). Would also make a great side dish to white fish, chicken or pork tenderloin. I like to think of myself as a fruit and veggie expert. I have used lots of interesting, unique produce (see my farmer’s market wtf series) and I am generally good at identifying out-there foods. It all went down the drain, though, yesterday at Whole Foods. I wanted parsnips because my Grandma used to always make chicken soup with them, and I wanted to see what else they’d be good in. But alas, I didn’t get parsnips. I got celery root, or celeriac. I won’t lie – I am not that big a fan of celery. I can bear it at times but celery root, which basically tastes just like celery, was not my first choice for vegetables. 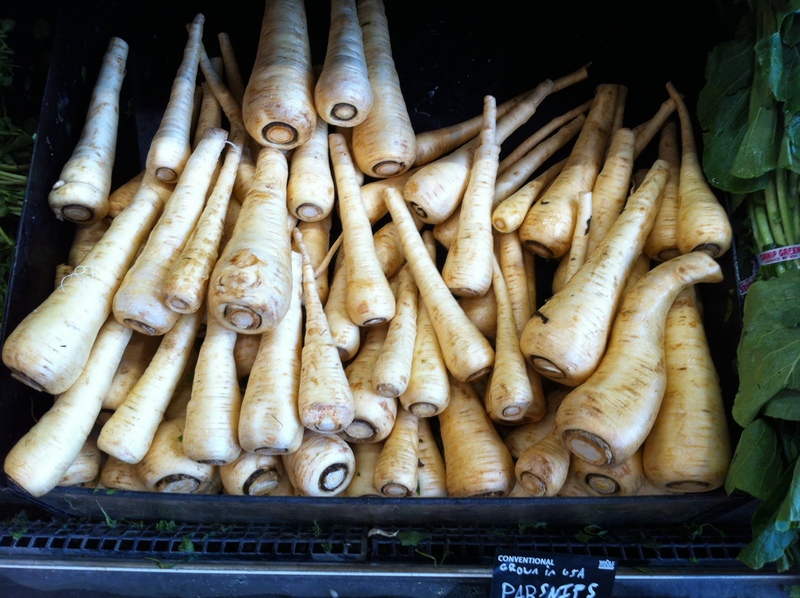 I’m not even sure how I mixed them up…I know what parsnips look like, dammit, and these were clearly not parsnips (see comparison below). What do you make? I had to explore. 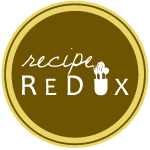 First I found a recipe for celery root remoulade from the blog Wrightfood. This recipe was a creamy, mayo-based salad, however, I wanted something a little lighter. I did like the idea of some sort of celery root slaw, though. There is one area where I do enjoy the taste of celery: in a stir-fry, when there’s a little teriyaki sauce to offset some of the celery flavor. 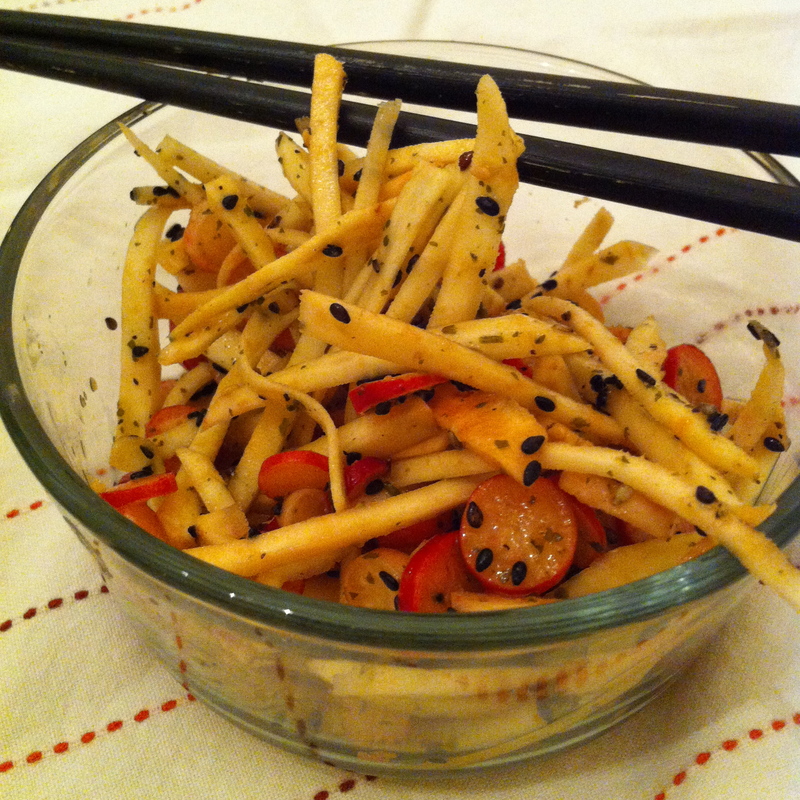 So I decided to make an Asian celery root slaw. Had some English breakfast radishes to use up, so those had to be a part of the recipe too. 1/4 cup Trader Joe’s Island Teriyaki (has pineapple juice in it) or standard teriyaki sauce. Combine all ingredients in a large bowl. Let marinate in the fridge for at least 1 hour before eating. The slaw has a nice crunch and surprisingly didn’t have an overwhelming “celery taste” – a plus in my book! With the sweetness of the Island Teriyaki sauce plus honey, it was the perfect balance of sweet, fresh (celery root), tangy (vinegar) and spicy (radishes/Sriracha). Quite a serendipitous event, mixing up parsnips and celery root, if you ask me. Plus, one can’t complain about the nutritional perks of celery root (1 cup): only 70 calories, excellent source of vitamins C & K, good source of potassium, fiber, phosphorous and several other nutrients and no cholesterol or fat! 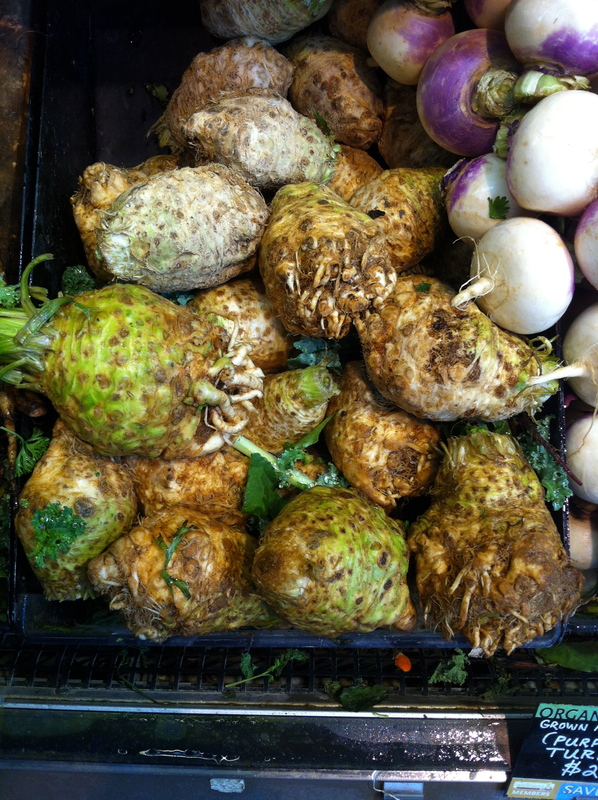 AKA celery root is good for eye and bone health, immunity, can help improve blood pressure and will make you feel full with all that fiber. Hmm what else can I make out of celery root? I’m thinking celery root chips…stay tuned. My girlfriends and I have recently started doing potluck dinners/wine nights. Is it a sign that I’m getting older that I would rather do that than go out? Now, even though I am a dietitian, I love, love, love sweets. 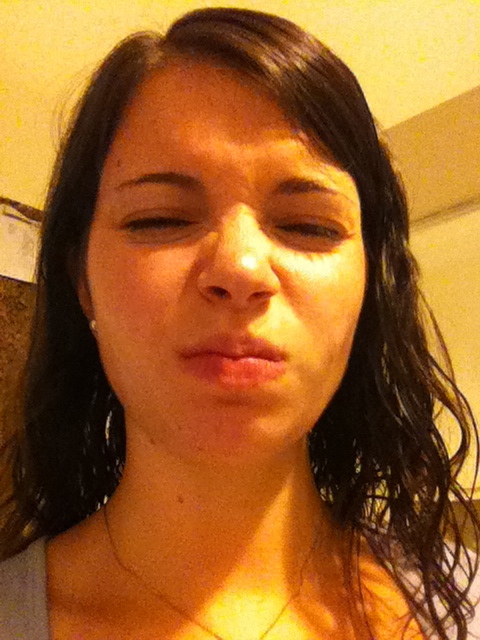 In fact, most dietitians I know feel the same way. So naturally, I volunteered to bring cupcakes. How could you not want to share these works of art? Cupcakes from Swirlz Cupcakes in Chicago. To balance things out, though, I wanted to make something a bit healthier. Lucky for me, the Green City Market is brimming with amazing veggies right now. Tons of varieties of tomatoes and peppers plus delicious sweet corn. Yum! 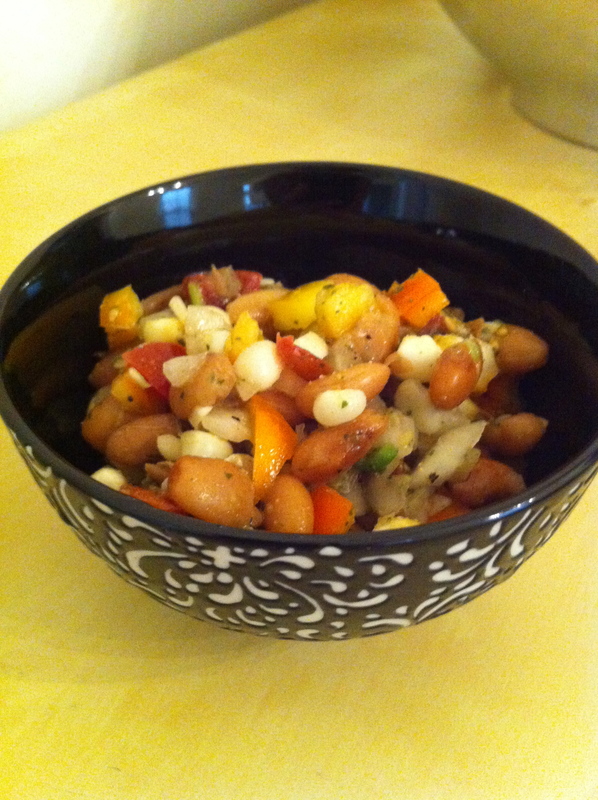 I wanted to also incorporate some pinto beans as I had a big bag to use up. Hmm, what could I make? Then I realized…Texas caviar! Even though the traditional recipe uses black eyed peas (cue “Boom, Boom, Pow”), I could easily replace them with pinto beans. I found this amazingly quick method from the Paupered Chef (only 90 minutes start to finish) to cook dried beans. 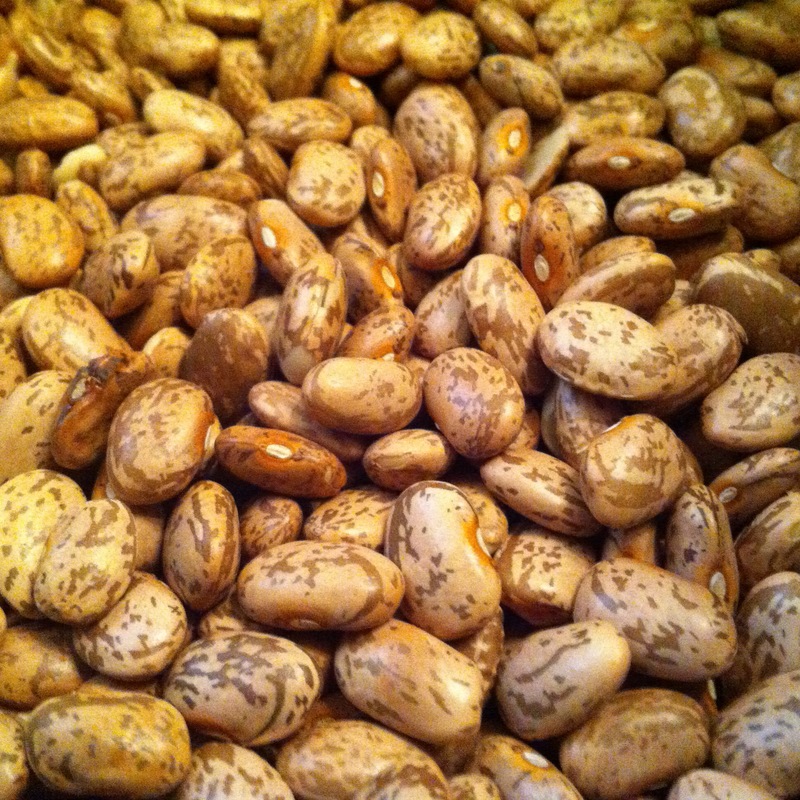 Check out the dried beans below – so pretty, and a nutritional powerhouse. Per 1/2 cup of pinto beans, you’ll get 8 grams of protein, 7.7 grams fiber, 2 grams Iron, loads of potassium, and a slew of other vitamins and minerals. All for approximately 120 calories. Not too shabby. Heat de-cobbed corn for about 90 seconds in the microwave. Serve on top of tacos or salad, or as a dip with tortilla chips. As a volunteer at the Green City Market in Chicago, I am surrounded by amazingly fresh, delicious, colorful produce every week. It’s heaven for me. However, even with my love of fruits, veggies and cooking/eating delicious foods, the farmer’s market can sometimes evoke a “WTF” moment. What is that?? How do I make it?? Is it even edible? Thus, I have decided to start a series of “Farmer’s Market: WTF?” posts. I will discuss what the food is, the nutritional benefit and my experience trying to eat and cook it. No, that’s not an alien-baby. It’s Kohlrabi! 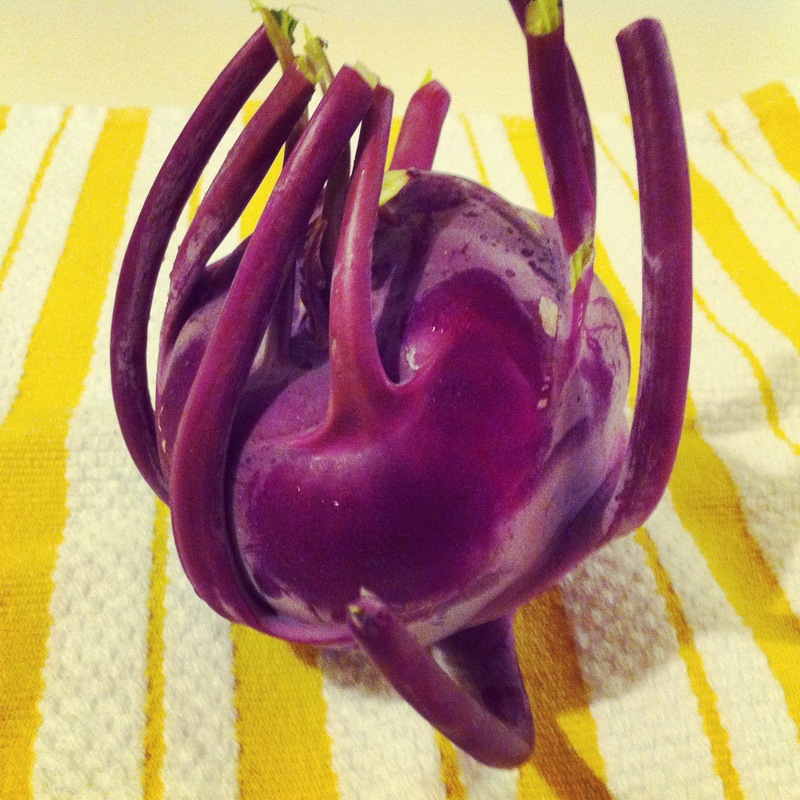 Kohlrabi, which got it’s name from a German term for “cabbage-turnip,” is actually packed with nutrition. For just 50 calories, a whole [medium-sized] bulb provides 6 grams fiber, no fat/cholesterol, little carbs/sugar and a whopping 180% daily value for Vitamin C.
Fabulous! But how do you get all of that nutrition into your body? How to eat it? First off, when in doubt at the farmer’s market, ask the farmers. They can always provide tips for how to use a fruit or vegetable. However, it’s good to do a little experimenting as well. In my case, the farmer told me that I could either peel it and eat it raw (think jicama), or roast it. Now, I’m all about eating raw veggies, but I wanted to have a backup plan just in case. FRITTERS! 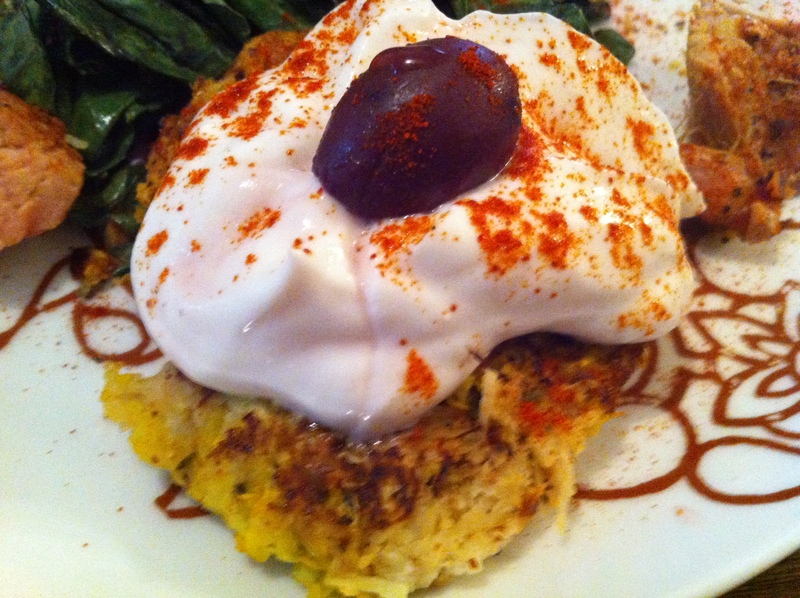 You can pretty much grate any veggie and turn it into a delicious fritter. You can sort of tell in the picture above (top left corner), but I was able to cook the kohlrabi leaves (tastes and looks like Swiss chard). I just rinsed them, cut them up and sauteed in olive oil and garlic. Yum! And I love being able to use the whole plant. 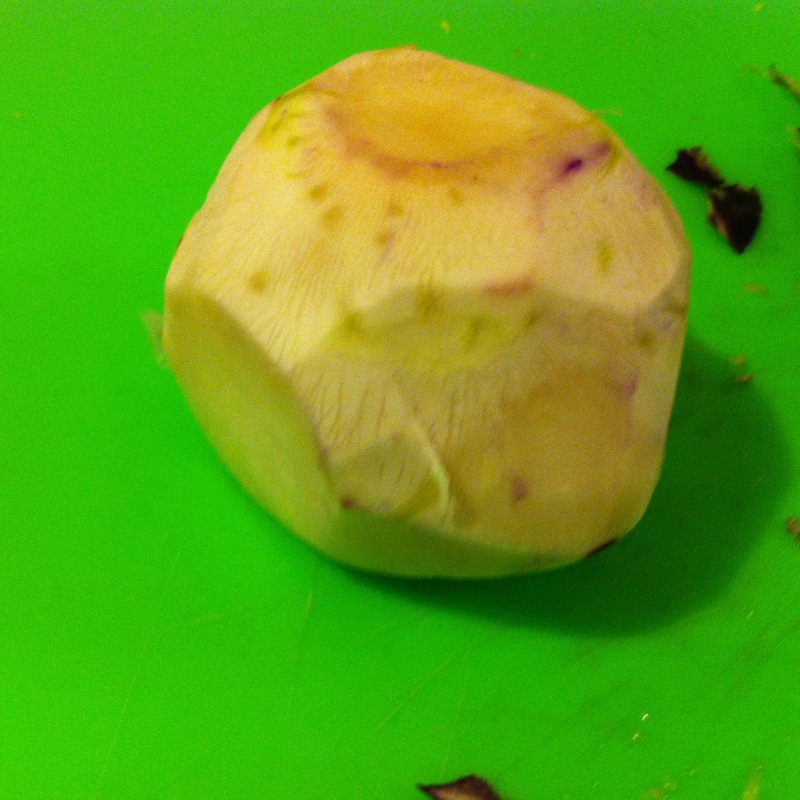 Raw kohlrabi: not as yum as I had hoped. It tastes sort of like a radish or the stem of broccoli (which is absolutely edible!). Would have been better with a little hummus or even with the Greek yogurt dip I used to top the fritters. 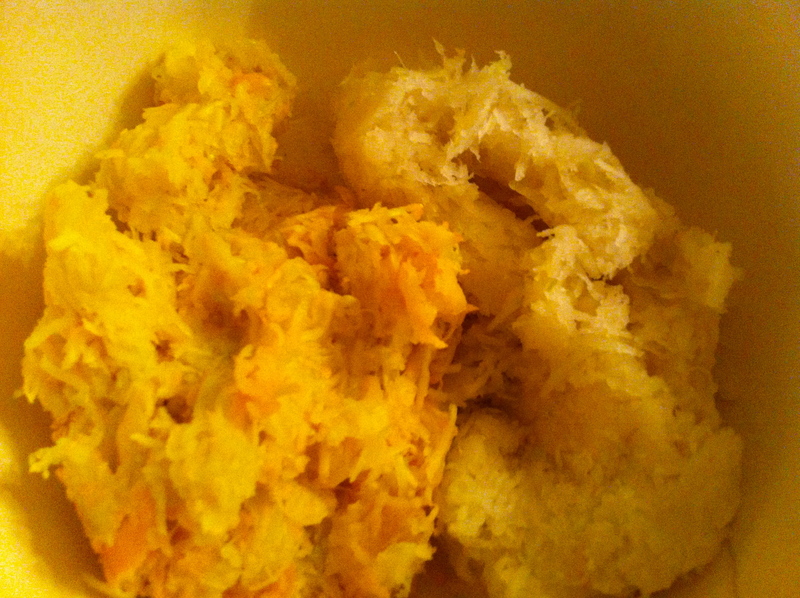 Grated kohlrabi & yellow squash. Would’ve been much easier with a food processor/grater attachment. Cook for ~3-4 minutes on each side. Be careful when flipping (use two spatulas) because they are very fragile. Mix them together. This was a super-simple way to make a tzatziki-like sauce! 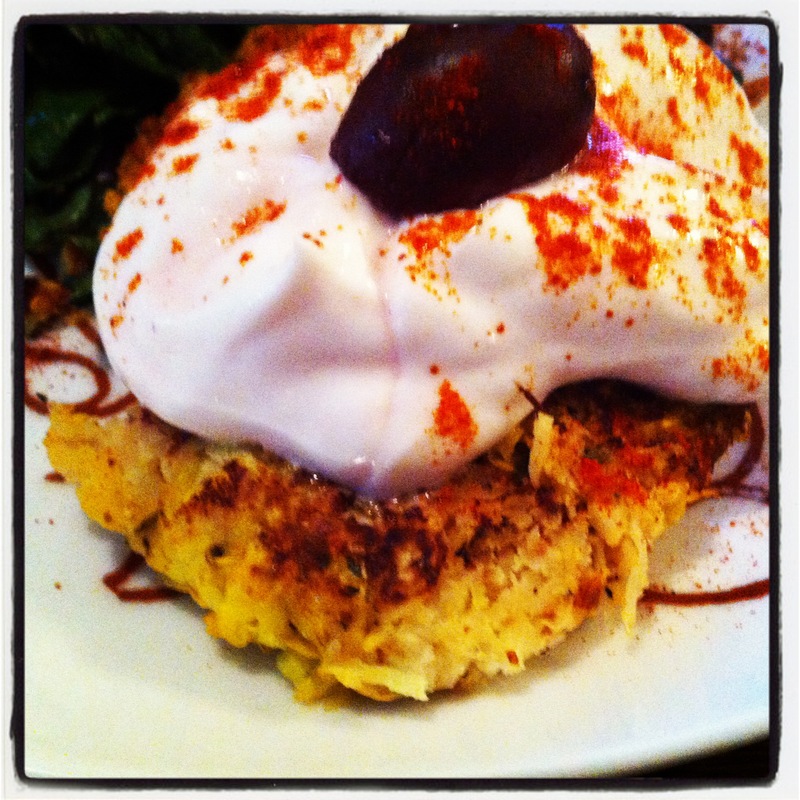 Top with a kalamata olive and a sprinkle of smoked paprika.